I just posted this on the Real English® Facebook Page. It's so important, in my humble opinion, that I am also including it here, as is. I receive about 50 questions from students and teachers every week, usually about grammar or nuances of vocabulary. Eight or 9 times out of 10, the answer could easily be found by the student or teacher without my help, so instead of giving the answer, I explain how the answer can be found without my help. (In some cases, I know that it would be too difficult to google the answer, so in those cases, I give the answer to the student or teacher "on a silver plate", requiring no effort from them). 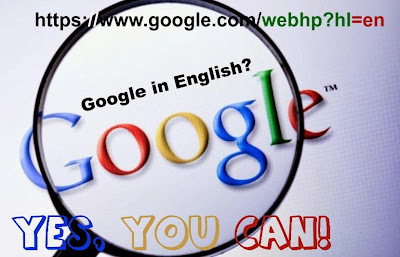 How is ENGLISH GOOGLE different from GOOGLE IN YOUR NATIVE LANGUAGE? The results are not the same, very simply! The most efficient way to find your answer is to work in English! Thankfully, many students appreciate the fact that I SHOW THEM HOW TO FIND THE ANSWER THEMSELVES. They feel empowered, which is the main reason I insist on this. They learn a VERY VALUABLE NEW SKILL, and hopefully pass the new knowledge on to others. "i am in a serach of a complete stuff of prepositions . " The questions I receive are often all-encompassing like this one. And half of the time, no single web page will give us "complete stuff" on any subject. We sometimes have to consult several of our search reuslts to find our complete answers. He later refined his request a bit, saying ".i want the definations , rules and regulations of all them". Look at the first result. It is excellent for your purposes! Do you need more information? If so, look at the other results on the first page! *****type "prepositions" because you are interested in prepositions. *****Type "rules" because you are interested in the grammar rules for using prepositions. 3 - in a combination of several results of your search. In your case (".i want the definations , rules and regulations of all them"), since you want ALL of them, you will probably have to look into several of the results after looking at the first result. Finally, it is VERY important to ask questions if you do not understand anything that I have written here!" (end of conversation). Good searching techniques are a skill which require practice, just like learning Engliqh takes practice. But it can be learned very quickly if you do it regularly, whereas learning English will take a lot more time! For example, sometimes you must change your search terms if you do not find what you are looking for right away. Also, BE CAREFUL of the "first results". Sometimes they are advertisements, almost always UNRELATED to your search. You can tell the difference between an "ad result" and a "real result": the "ad result" begins with the word "ad" in very small print, and the background is not pure while like the others. It is slightly "off-white", but if you are not careful, you can easily click on the ad by mistake! According to the objectives of any learning situation, the best teachers often show students HOW to find the answers for themselves. They don't always give them to students on a silver platter. After I receive a question from a student or teacher, and BEFORE I suggest the search terms to use, and BEFORE I send them out on their search, I google the search terms MYSELF to make sure that the student or teacher will find what they are looking for, if they follow the instructions.